In a rare gathering of exceptional talents, Malorie Blackman, Frances Hardinge and Philip Pullman discuss what fantasy can tell us about reality. Malorie Blackman’s bestselling Noughts and Crosses quartet considers big themes of race, terrorism and social equality in a hypothetical world. Pullman’s hugely inventive epic trilogy His Dark Materials embraces philosophy and religion. And his fellow Oxford graduate, the award-winning novelist Frances Hardinge, writes acclaimed pseudo-historical fantasies, including Gullstruck Island, which reveal much about ourselves. 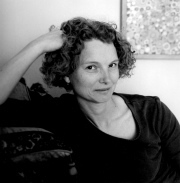 Chaired by Sunday Times children’s books reviewer Nicolette Jones. For 350 years, our most eminent scientists have sought to unravel nature’s great mysteries, discover the laws that govern our Universe and solve the riddle of life on earth. As the discoveries and revelations of each successive century have overtaken the (perceived) certainties of previous generations, we must wonder, how far can we trust in the new certainties of 21st century science? Two eminent scientists, Richard Dawkins and Steve Jones talk about science, certainty and the Royal Society, with Georgina Ferry, a Science writer, and Roger Highfield, Editor of The New Scientist. 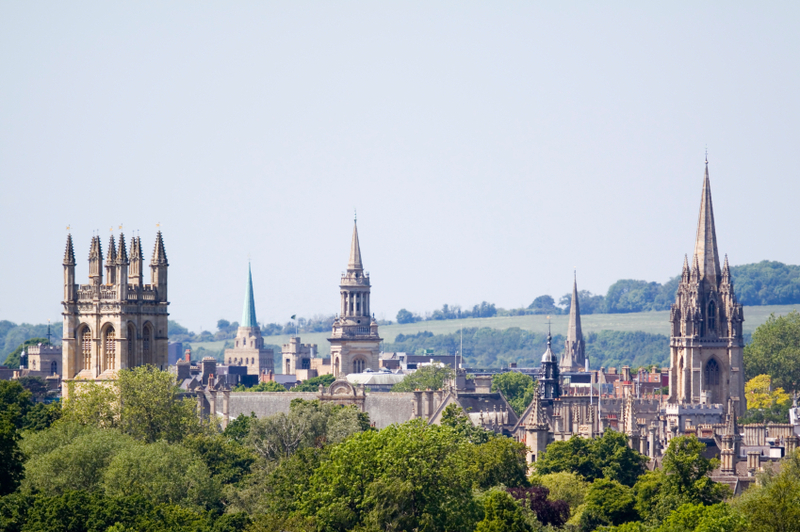 For nearly 150 years Oxford writers of fantasy have enthralled readers around the world. From Charles Dodgson’s Alice in Wonderland, published in 1865, through to Tolkien’s The Hobbit and Lord of the Rings, and CS Lewis’s Narnia series, the city has inspired a bewitching succession of novelists who have entranced us all. There is no charge to attend this event which lasts about 15 minutes. How important is free speech? Should it be defended at any cost? Or should we set limits on what can and cannot be said? Nigel Warburton offers a lively and thought-provoking guide to these questions, exploring both the traditional philosophical arguments as well as the practical issues and controversies facing society today. Commodore Toby Elliott was a submariner during the Cold War but it was in his role as Chief Executive of Combat Stress that he witnessed the devastating psychological effect of warfare. In this wide-ranging and highly entertaining interview with Julie Summers he will talk about his work during his ten years at the helm of the ex-services mental health charity, Combat Stress, as well as his life as a submarine commander in the 1970s and 80s, when he was in command of the first RN ship to carry women as part of her crew. The Diaspora, or the scattering of people, is an experience many of us now share. Food is about roots and identity as well as pleasure, comfort and conviviality. To a migrating people it is a link with their past and an old homeland. Four writers, Rosemary Barron, author of Flavours of Greece and Director of Oxford Gastronomica, Claudia Roden, expert on Jewish and Middle Eastern cuisines, Dr Renee Hirschon, anthropologist and Fellow of St Peter’s College, University of Oxford, and Yasmin Alibhai-Brown, journalist for The Independent and author of The Settler’s Cookbook, will discuss the power of food to evoke memories of family, to assuage the pain and nostalgia of exile, and its role in affirming identity and aiding social cohesion within dispersed communities. ‘Writing,’ says Philip Pullman, ‘can liberate and strengthen young people’s sense of themselves as almost nothing else can.’ First Story, a charity which arranges for acclaimed authors to work as writers-in-residence in challenging state schools, has now launched in three schools in Oxford. At this special event, Philip discusses how creative writing can transform lives with First Story’s Katie Waldegrave and writers Kate Clanchy, Helen Cross and William Fiennes, and introduces readings from pupils taking part in the project. 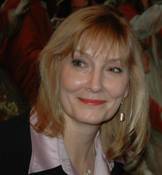 Helen Rapport, author of Ekaterinburg: The Last Days of the Romanovs, has here unearthed another extraordinary story of conspiracy and duplicity – that of Madame Rachel, the Victorian cosmetician, con artist and blackmailer, who changed her fortunes by appealing to the desire of society women to enhance their looks with forbidden cosmetics. Acquiring a prestigious address in Bond Street, at which veiled ladies arrived in closed carriages, she embarked on a campaign of blackmail that shocked 19th-century London. Rappaport unveils Rachel’s secrets, and those of the ladies she blackmailed, in this intriguing story. Relative Strangers is the untold story of wartime evacuation, in which historian Julie Summers looks at what happened to the children evacuated in wartime Britain when they came home. Using documentary evidence compiled after the war and recent interviews, she reveals a rich picture of how the children who returned from the country, from America and from all over the Commonwealth fared in the aftermath. She will talk about the surprises encountered along the way and some of the pitfalls of oral history. What sort of “faith schools” are acceptable, if any? Do faith schools help build communities, or divide them? Do they educate, or indoctrinate? Do they raise principled moral citizens, or dangerous moral sheep? Should a school that discriminates against staff and pupils on the basis of faith receive state funding? Peter Stanford is a former editor of the Catholic Herald, and an award-winning journalist and broadcaster. His biographies have included Lord Longford, C Day-Lewis, Bronwen Astor and the Devil. His latest book, The Extra Mile: The 21st-century Pilgrim, is published in March. Peter had two children at faith schools and is a foundation governor of one. Stephen Law is a philosopher and the author of a book on faith schools called The War for Children’s Minds. Stephen will argue that the state funding of faith schools should be abolished, and that every child at every school should be reminded regularly that religious belief is something each one of them is free to accept or reject. Indeed, Stephen is not convinced faith schools should be permitted at all. Few things so readily spark a lively debate as the use and perceived misuse of English. But are we too protective of our language? Too prescriptive even? Does English need defending? Susie Dent, author of How to Talk like a Local and the resident dictionary expert and adjudicator on Channel 4’s long-running game show Countdown, Henry Hitchings, author of The Secret Life of Words (winner of the John Llewellyn Rhys Prize and a Somerset Maugham Award) and Stephen Harrison, Professor of Latin Literature at Corpus Christi College, Oxford will debate the issues. Julie Summers, who has been known to coin the odd new word, will chair. This event is sold out but please note that Philip Pullman is also taking part in Event 103 with Malorie Blackman and Frances Hardinge. Philip Pullman’s His Dark Materials trilogy has been much praised and commented upon by adults, but here is an opportunity for a more youthful perspective on his epic about Lyra and Will, Yorek Byrnisson, Lee Scoresby, Roger, Serafina Pekkala, Ma Costa, Mrs Coulter and Lord Asriel, and their daemons. Philip Pullman will be interviewed by 16-year-old Anouchka Harris about the trilogy. There will also be an opportunity for audience members to ask their own questions. Canongate’s celebrated The Myths series brings together some of the world’s finest writers, each of whom has retold a myth in a contemporary and memorable way. In The Good Man Jesus and the Scoundrel Christ, Philip Pullman – the award-winning author of His Dark Materials – offers a spellbinding retelling of the life of Jesus, possibly the most influential story ever told. Pullman’s radical new take on the myths and mysteries of the gospels, and on the church that has shaped the course of the last two millennia, asks the reader questions that will continue to reverberate long after the final page is turned. For, above all, this is a book about how stories become stories. Pullman has said that his new book is part novel, part history and part fairy tale. Today he discusses it for the first time.